2 Bedroom Terraced House For Sale in Market Harborough for Asking Price £180,000. This attractive two bedroom house occupies a quiet cul de sac location, minutes walk from the centre of Market Harborough. 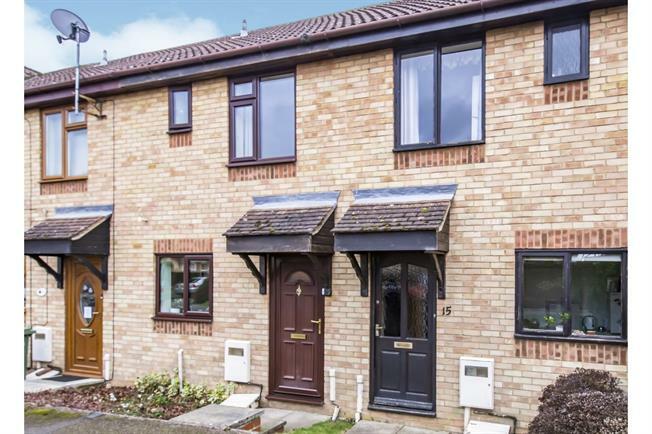 The property offers balanced, well presented living space, spread over two levels and benefits from a low maintenance rear garden and garage. Internally the property presents a well appointed kitchen, rear facing lounge diner, two double bedrooms and a well maintained bathroom. Other main features to consider are double glazed windows, storage heating, gas utilities to the kitchen, shower over bath and built in wardrobes. The property is freehold. The single garage is leasehold with costs aprx 180 per annum in service charge. Ideal buy to let or first time buy.